Clean smell not overpowering. Would recommend it. 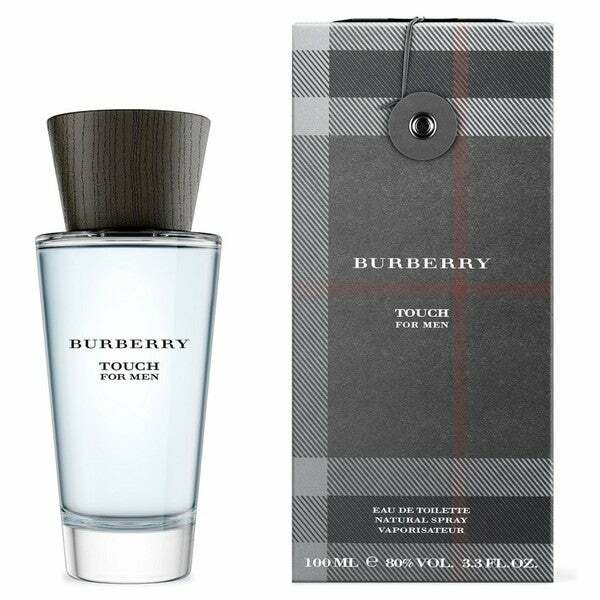 Showcase your sophistication with this Burberry Touch eau de toilette spray. Boasting rich notes of spice and cedar with hints of vetiver and musk, the spray provides an earthy, intriguing scent, perfectly lightened by notes of floral and fruity citrus. 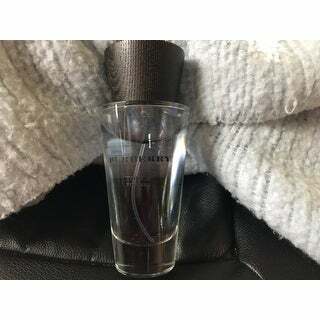 Burberry 'Touch' Men's 3.3-ounce Eau de Toilette Spray is good fragrance with lasting power. A little goes a long way. This is a very nice fragrance and I always get compliments. This is a very classy cologne. The smell is mild and gentlemanly. My wife loves it. I have a cousin who told me "you'd be so easy to hunt wearing this." which is his way of saying "you smell good". :) The price is also 70% less than that of competitors and it was 100% authentic. Delivery was on time and the product was well-packaged. This cologne is a perfect gift for a guy. I ordered it for my boyfriend and it took about a week to come, it was decently wrapped. I'm not a fan of online shopping because you never know what can happen but I definitely trust this website and it won't be the last time I shop from here. This is a light Eau de toilette spray. Wonderful light refreshing fragrance. This is a delightful fragrance and it is now overpowering. My husband wanted a new eau de toilette spray, and I decided to surprise him with this having read other reviews. He really likes it. Being a long-time fan of Chanel Antaeus, I decided to give this cologne a try. How to describe the scent? I'd better just quote the 'nose' behind this cologne, Jean-Pierre Bethouart. "Top notes are artemisia, violet leaf and mandarin orange; middle notes are nutmeg, white pepper and cedar; base notes are tonka bean, vetiver and white musk." My subjective description would be fresh, manly but subtle. The scent doesn't last a full day but I have yet to discover a cologne that does. Good for several hours though. At the current price (about $*), you can't go wrong with this cologne for variety. Otherwise, I would still stick to Chanel Antaeus. My fiancé and I have always disagreed on which cologne smells best on him. He is a fan of the (in my opinion) overly sweet smelling cologne, Angel by Thierry Mugler for example. I have always found that something a little more musky, think Acqua Di Gio by Armani smelt better on him, until now... I had purchased him a bottle as a stocking stuffer for Christmas and as soon as he opened it to smell it he sprayed it on himself. It smells a little sweeter at first, it almost reminds me of fresh crisp laundry, but as it wears you catch hints of musk and spice while still maintaining that fresh sweet smell. He wears it everyday without fail, and neither of us has grown tired of it yet, in fact, he wants to go purchase another "backup" bottle so he won't run out. This is a fantastic unexpected scent that I will be happy to smell for years to come! I was a little nervous about ordering an eau de toilette offline, but it arrived in perfect condition and as far as I can tell, the scent is identical to the one sold at *******. This was definitely a great deal. I've only received half of my Order , Where is my Burberry Touch should have been delievered by know the SEAN JOHN " Unforgivable was delievered in No Time at All . works for me for afternoon thru evening. really like it. new to me. Bought this item for my boyfriend and I must say I love to be up under him whenever he wears it. It is such a great cologne and the smell is captivating. Got as a Christmas gift which was very well received!!! I am constantly being asked what is the name of this cologne, almost every woman that I come across loves the smell. Smells great on him get that special man in your life some. He’ll love you more for it. It made a great gift. My son really loves this colonge.. I love how fast and easy this service and I can find exactly what I need. So good. This scent will be “popular” for years. It won’t go out of style. It’s strong so you only need a pump or two, making it last awhile. Best price I’ve found. This is a great cologne. We have purchased several times and will keep reordering! Love this Body Spray ! Already Bought again. "This is much less expensive than at ** or **. Is it a knock off or real? It will be a gift for someone who wears this every day. Just curious. Thanks,"
"Is this 100% original and does it come in original package"
Yes, we can guarantee that this is an original and unopened item. The one I received was authentic. It is authentic. All of the products are authentic. I haven't had any problems with products received from Overstock. Also, the prices are unbelievable. I like the smell and overstock has the best price on it. "is this product 100% original or an imitation?" it is 100% original and comes closed and wrapped, not a tester my husband loved it! 100% original. Came in originally box.